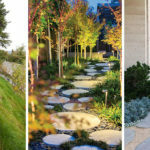 We often see pathways that are normally lit with small lights running along the edge of a garden or wall. They do the job, but they aren’t really all that interesting. 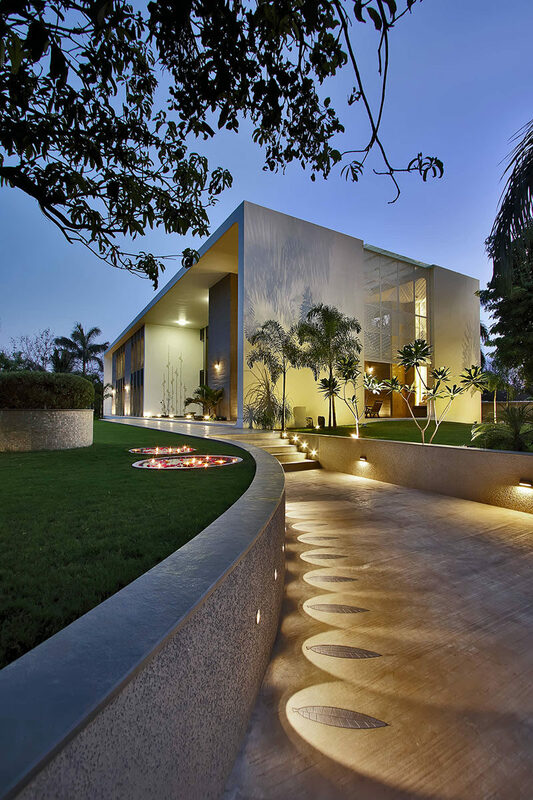 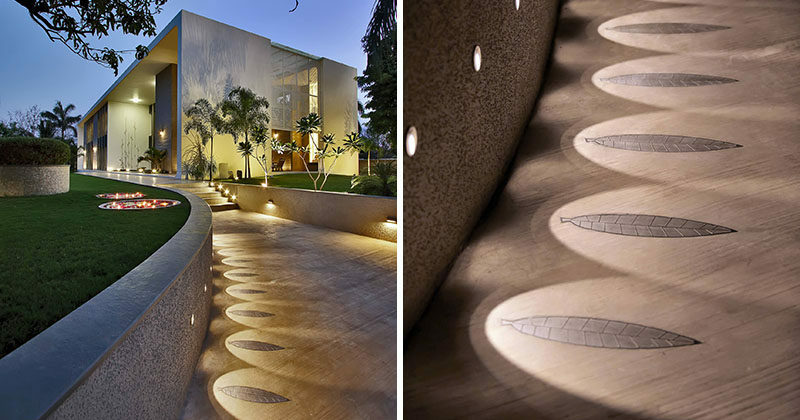 Dipen Gada and Associates decided to install these lights into the wall next to this walkway to highlight a special decorative design element on the path. 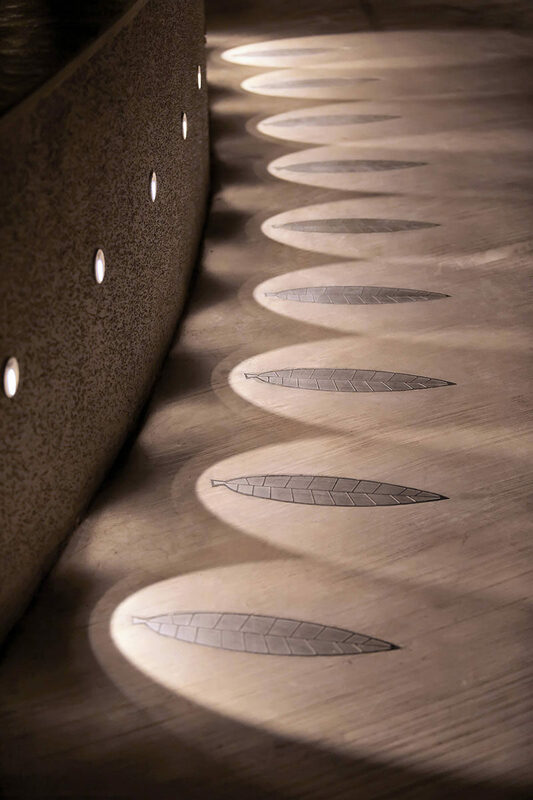 Decorative leaves have been embedded in the concrete path, and each small light is perfectly aimed to highlight a leaf, providing an interesting artistic touch to the path.